To arrange a speaking engagement, contact Dawn Stuart at Books in Common, 541-318-6288. This journey, with a mix of humor and humanity, is what audiences experience during Kelsey’s talks. 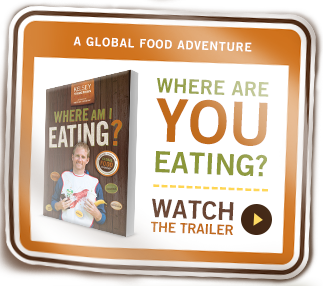 Kelsey Timmerman is the New York Times bestselling author of Where Am I Wearing?, Where Am I Eating?, and Where Am I Giving?. He has presented to hundreds of audiences: blood-thirsty kindergartens, a captive audience of 7,000 first-year students forced into an arena, MBA classes, high school assemblies, corporations, communities of faith, and conferences. Kelsey takes our every day acts–drinking coffee, eating chocolate, making a donation to a cause–and connects us to the farmers, factory workers, and people impacted by them. By hearing their stories and meeting their families, we see the common humanity we all share. And then Kelsey gives audiences tangible next steps–localized to the audience’s community, school, or place of work–to create a positive impact. Invite Kelsey to your campus. With great opportunity comes great responsibility. Accept it and you, your students, coworkers, employees, and fellow citizens just might change the world. Invite Kelsey to your company. So follow in the footsteps of schools like University of Kentucky and Texas State, and companies like Patagonia and Principal Financial, and conferences like IMPACT and the Annual Conference on the First Year Experience, and invite Kelsey to speak.